Every thriving organization relies on honest feedback. For leaders, input is crucial not only from their bosses, but also from subordinates and colleagues. To solicit input, many organizations use 360-degree performance feedback profiles. However, with the way these assessments are structured, the comments can sting—and even cause damage to morale. Fortunately, there’s a better way. Let us explain. Free-form comment sections give reviewers free rein to say whatever they wish. With input provided anonymously, the comments can be mean-spirited and demoralizing. In small organizations, leaders can figure out who commented. This can make people hesitant to provide honest feedback. It also causes resentment when people are brutally honest. So how can you get the information you need to help your leaders excel? Use Everything DiSC 363® for Leaders (“363”), a revolutionary, online feedback profile! It produces a detailed report that conveniently highlights key points in a “top three” section. This presents leaders’ three greatest strengths and their top three development opportunities, so leaders can start to improve their results right away. It replaces a section for free-form comments with carefully crafted questions to produce instructive, informative comments for leaders. The focus is on constructive feedback that reduces the sting! It uses the DiSC® model, so it looks at behaviors and delivers detailed, easy-to-understand data—with helpful graphs. 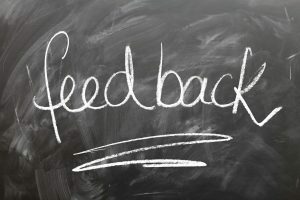 Reviewers then select additional, pre-populated comments, such as “Their passion for finding new opportunities encourages the rest of us to show initiative” or “They already do a good job of finding new opportunities.” This allows for useful, sting-free actionable feedback that your leaders need for positive development. We’re here to help you revolutionize the way your organization delivers feedback. Email us at learn@corexcel.com to learn more.